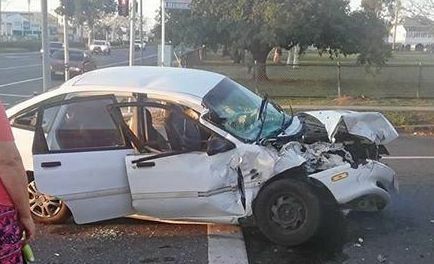 A family was travelling in this vehicle when it is believed it ran into another on Gladstone Rd, Rockhampton this morning. 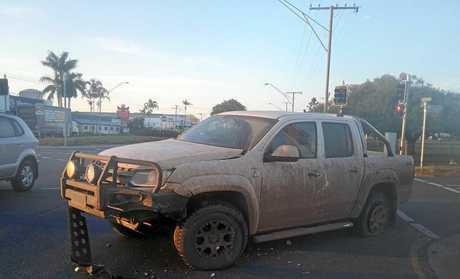 A CRASH victim believes it's lucky no one was killed when a car smashed into her ute on Gladstone Rd, Rockhampton this morning. Pamela Stephenson said she was being "extra careful" on the road having just witnessed another car run a red light on the busy stretch. Moments later her car was in the air with her inside. "Impact lifted my vehicle into the air and spun it around to almost face back where I came from," Ms Stephenson posted to The Morning Bulletin Facebook page. 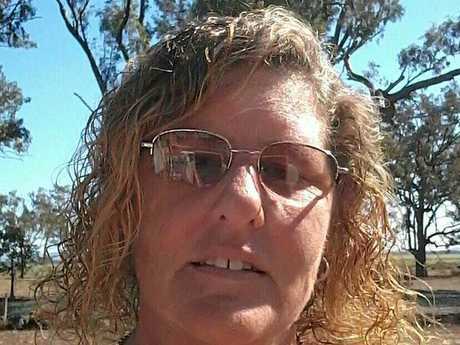 She claims a "momentary lapse in concentration" caused the driver to run a red light before their sedan ploughed into her 4WD about 5.20am. 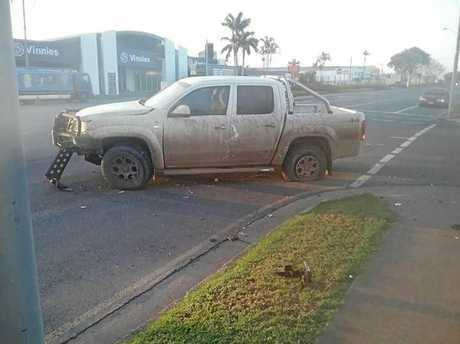 Pamela Stephenson says her ute was hit by another car after it ran a red light this morning on Gladstone Rd, Allenstown. Ms Stephenson was one of six people taken to Rockhampton Hospital following the two-vehicle crash this morning; among them were three children. She said she had been crossing Gladstone Rd towards Allenstown, and the other vehicle was heading towards town. Recovering from the incident, Ms Stephenson shared photos of the wreckage on The Morning Bulletin's Facebook page. She didn't make it to work this morning, but she was happy to be alive and recovering. Pamela Stephenson was the victim in a two-vehicle crash on Gladstone Rd, Allenstown this morning. "He glanced back at his kids - a momentary lapse of concentration and didn't see the red light," she said. "Parents I see this all the time. "Don't look back at your kids, keep your eyes on the road at all times please. "Stop if you need to. "This family was so lucky nobody was seriously injured or killed." The Queensland Ambulance Service earlier reported three children were taken to hospital for spinal precautions. A Rockhampton Hospital spokeswoman said all six patients involved in the crash have now been discharged. The crash closed one lane of Gladstone Rd for several hours this morning. Ms Stephenson has been contacted for further comment. A man also remains in Rockhampton Hospital this afternoon after he was transported with spinal precautions following a separate crash south of Marlborough at 5.24am. Paramedics treated and transported him from the Bruce Hwy near Kunwarara Rd, Canoona following the single-vehicle.